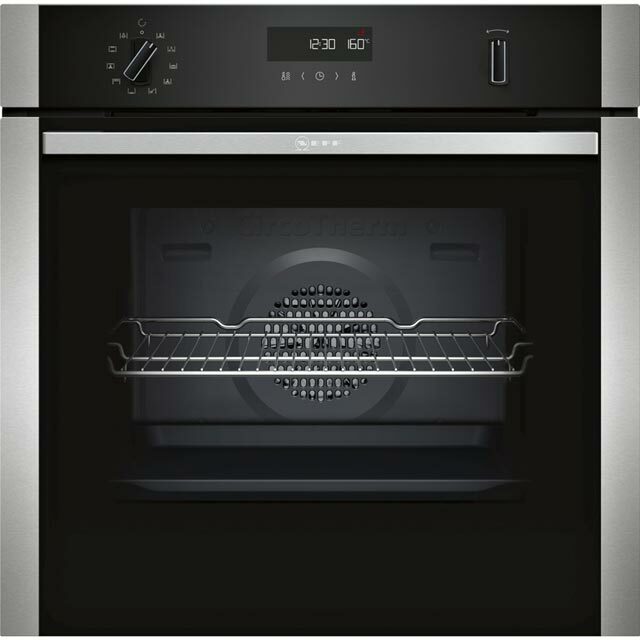 If you like to impress guests with your culinary talents, you’ll love this superb built-in electric single oven from Neff. It’s a multifunctional model, so you’ll have lots of ways to get creative, from making your own bread to grilling steak with Portobello mushrooms, or preparing a traditional casserole. 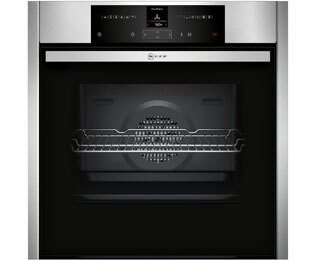 Whatever’s on the menu, its generous 71 litre capacity gives you lots of space to cook. And, thanks to CircoTherm® technology, which continuously circulates hot air, you can bake a delicious fruit crumble at the same time, without flavours transferring. The EcoClean liners inside absorb food splashes too, so cleaning is always effortless. 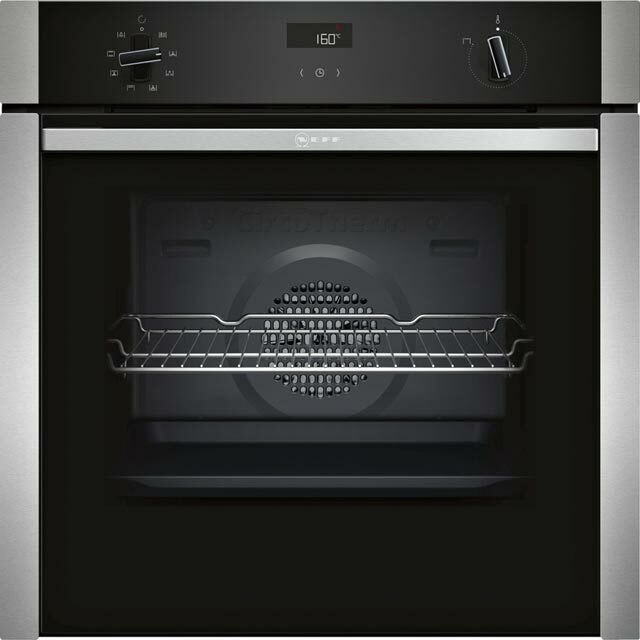 This appliance is designed to fit at eye level or under a worktop. 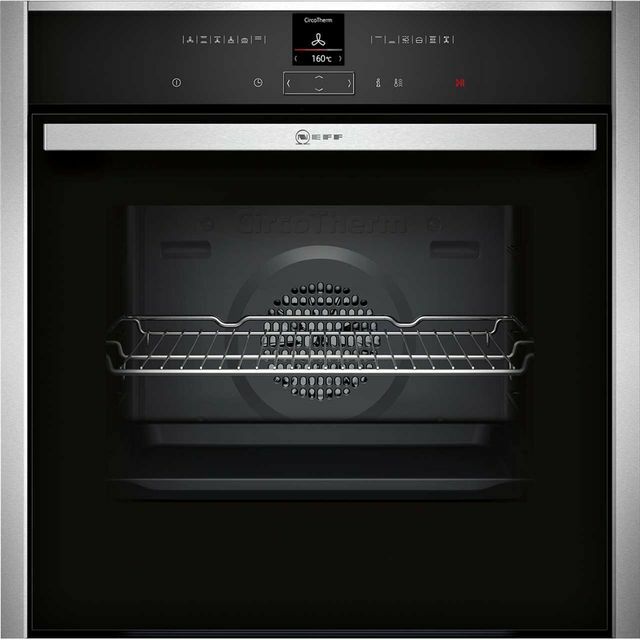 Oven does everything we wanted and need plus more. Replacement for a 15 year old NEFF oven , so NEFF was the go to for a new oven. Only had a week ,so still early days. Instruction booklet excellent. Only criticism is the size of the clock in the display, older oven had a much larger clock which could be seen across the kitchen. 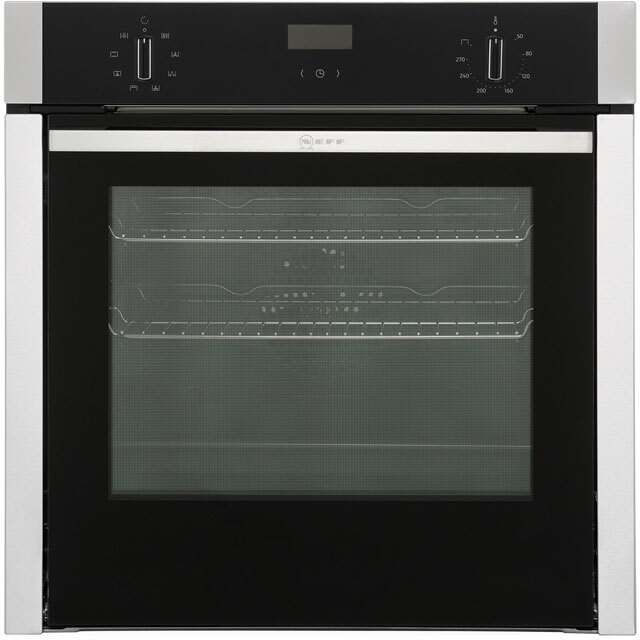 A good oven at a reasonable price, does everything we want it to. Fine so far, but takes a bit of getting used to as regards the controls. Only used a handful of times so far, but cakes have baked evenly, roast cooked to perfection. Worth the money.